In 2015, Jina Fungo and her family were completely surprised when a raging flood ripped through their village in the southern Malawi with no warning. They escaped in a canoe, managing to find safety upland. 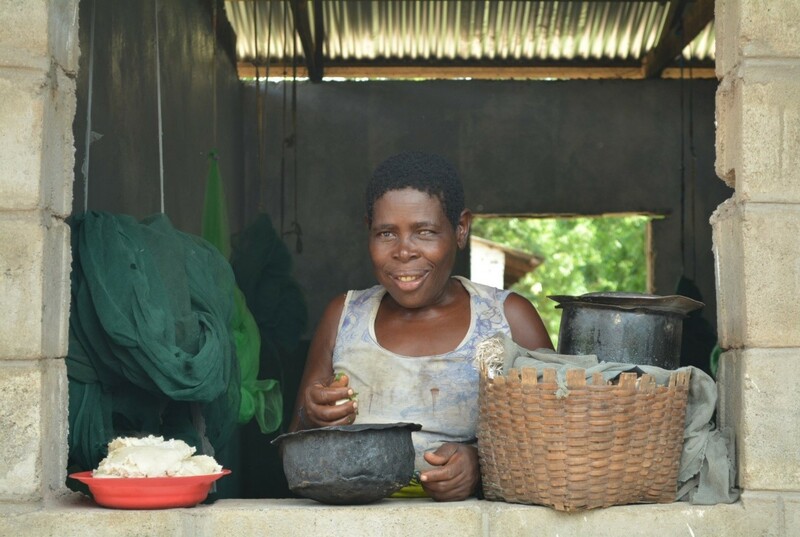 Jina’s husband made a desperate attempt to return to their village, Chilanga. “After dropping us off, he paddled back to try and save some of our belongings,” says Jina, a mother of four. “But the floods were so strong, and they washed away his canoe.” Tragically, Jina’s husband drowned. In all, the floods of 2015 claimed more than 170 lives in Malawi. But this time, Jina not only knew what was happening — she knew exactly what to do. Families in the area were warned about the approaching storm by members of the new local civil protection committee. Jina and her family immediately relocated to a recently constructed evacuation center at Ndamera. Last year, with funding from the U.S. Agency for International Development (USAID), CARE introduced the UBALE project in Chilanga, which supported the creation of civilian protection committees. The committees were trained in disaster preparedness and response. Committee members learned how to interpret and disseminate weather-related information to the community. CARE also provided the civilian protection committees with whistles, which they blow to alert people of an impending disaster. After the training, as the next phase of the project, the civilian protection committee identified their greatest need: an evacuation center upland. They built it just in time, not realizing the center would become a life-saver so soon. So far, there have been no deaths reported due to flooding in Chilanga. And government officials here say the community’s efforts to better prepare for disaster played a large role in saving people’s lives. “This was a unique idea and it has helped a lot in making the lives of the displaced people better,” said Emmanuel Mbenuka, a government Social Welfare Assistant based in Nsanje.